Following a 20-year military career and a few years as owner of an independent marketing firm, Dan joined the broadcast group in 1999. Serving our nation in positions around the globe, his career focused on the design and integration of automated communication systems for applications ranging from Special Operations to Disaster Response Teams. 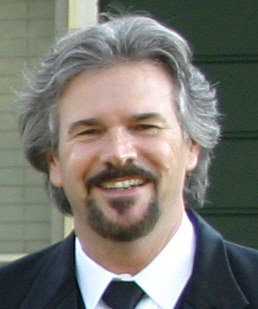 Before assuming his current position in 2004, Dan was the Production Director, as well as working on air and in sales. It's really not a matter of “how” for a believer, is it? To answer the question, though - you simply keep your heart in the ministry. Yes, we have payroll, FCC requirements, and electric bills, but above any of that we have an obligation to honor God in all we do. Being in a combined business/ministry doesn’t mean you have to “over-spiritualize” every opportunity, nor does it mean every ministry application has to produce a profit. What it does mean is that the end result of every effort has to be in the best interest of the ministry of your station. From a competitive standpoint, we’re improving. In large part, that's due to the quality of the music available. What GMs need to do most is lead. I’ve never really liked the word “Manager” - it implies someone who only meets expectations or stays the course. Radio is too much a dynamic field to be left in the hands of followers. There are always new areas to forge, and challenges we can only hope to meet around every corner. There are future leaders just a step behind every GM hoping for direction. Too often direction is assumed instead of given. So...characteristics of a Christian radio GM? People want to know they're important. Providing a level field for everyone to learn and grown on is vital to producing and maintaining a motivated staff. It's nice to be able to reward a top performer with a gift every now and then, but you can ensure regenerated motivation by allowing every individual the opportunity to experience the weight of responsibility, the temporary regret of “almost”, and the satisfying thrill of success. Like anything else we do, a good promotion has to be built at the intersection of research and creativity. In the end, it's of little importance what the prize is – but what we did to connect while we gave it away. I think the Christian record labels do a great job now. They're finding and investing in talented musicians. There are plenty of “one hit” artists in any genre, including all subcategories of Christian music. When record labels take the risk on an artist with a new sound or approach to music as a professional ministry, they give radio the chance to become equally innovative and create something that outshines our secular competitors. Apathy will always be the biggest obstacle. Too may people are content to hold on and hope for the best, compared to the number who are brave enough to lead the way into tomorrow. Jesus – our example – went to some great lengths to tell people about what His Father's love was really about during His time as a man. He didn't follow trends, but He capitalized on them to accomplish His ministry goals. Our primary goal is to connect. In a note to a recently hired personality, I challenged him to never stop reminding that he cares personally about our listeners and their world. I encouraged him not to be a “voice on the radio”, but a friend – one who understands what his listeners may be dealing with. The pain of marriage problems, children at different stages of life, struggles at work, joy over answered prayer – these are all part of everyday life, and good opportunities to relate to the audience. I don't know if it qualifies as innovation or not, but I like the courageous transitions I've seen at WMIT in Black Mountain, NC. With a signal that will take you almost from Nashville to the coast, they've built an audience that followed them from a largely Inspirational station to a s-s-s-s-smokin' AC mix, and even into a CHR station on an HD channel. Assuming there will still be one or two Christian stations that EMF doesn't operate (just joking – or am I? ), I'd guess Christian radio will continue to be among the most underrated stations in their markets, while making the most genuine impact on their respective communities.